Dr. Brenda Roberts is a nationally certified counselor and a nationally certified clinical mental health counselor. 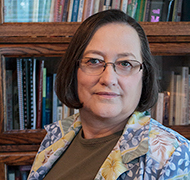 She holds a Doctorate of Education Degree (EdD) in Counseling and Guidance from McNeese State University. Copyright © 2019 New Horizons Counseling Center. All rights reserved.